Chinese President Xi Jinping visited an Argentine farm Saturday, voicing hopes to enhance agricultural cooperation between the two countries that both boast deep agricultural roots. 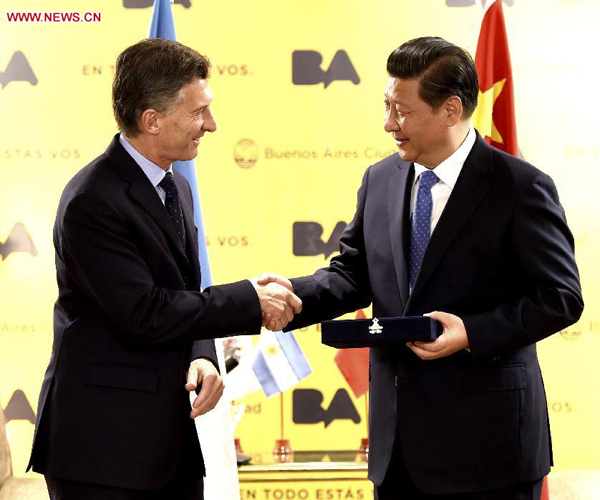 Before Argentina, Xi had visited Brazil, where he paid a state visit to the country, attended the sixth BRICS summit and met leaders of Latin American and Caribbean nations. His Latin America tour will also take him to Venezuela and Cuba. Chinese President Xi Jinping visited an Argentine farm Saturday, voicing hopes to enhance agricultural cooperation between the two countries.